CHICAGO, ILLINOIS. 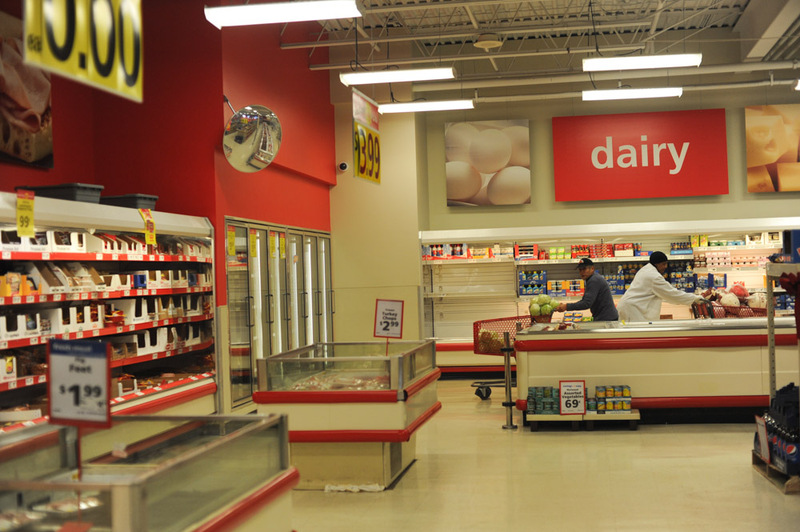 Workers in the dairy section of the Save-A-Lot at 10700 S. Halsted in the Morgan Park neighborhood on January 2, 2015. At this Save-A-Lot location, a gallon of milk costs $3.29, a carton of eggs costs $2.49, a pound of ground beef costs $2.99, a can of tuna costs 79 cents and a loaf of bread costs $1.29.